If you follow my Instagram, you might have seen that I attempted a zero waste challenge in May. 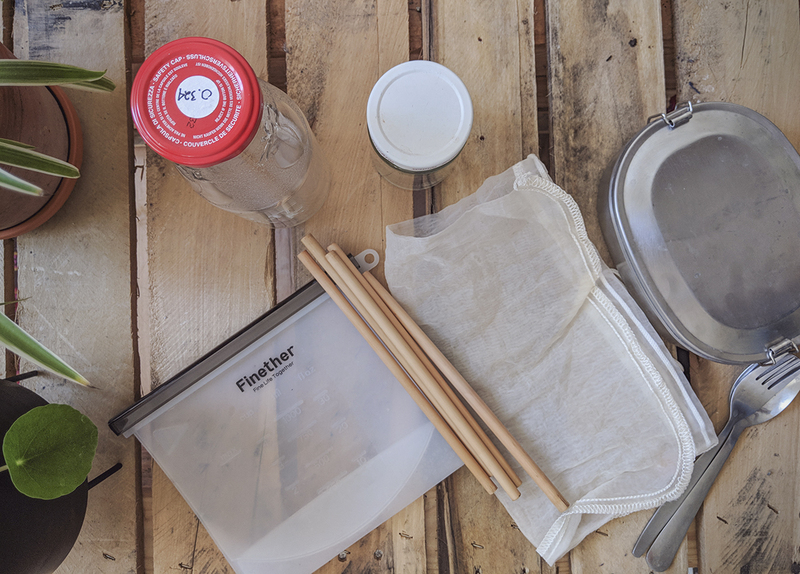 I just about missed the boat at presenting you my impressions on time for Plastic Free July, but here I go anyway. Now before I go any further, there’s a reason why I used the word attempted: my plastic-free living month was admittedly less than perfect and there was a fair bit of infringement in the form of deep-set habits executed on autopilot. Drinks were served with a straw without me having time to say hey, food delivery was ordered on a munchies spree, glitters were smeared prior to the club. I did a lot of stuff wrong, and I learned a lot from it. Seeing how much of a single-use convenience era we live in, making the transition to zero waste living does require some rewiring. And forgiving. I decided not to be too hard on myself and allow for some errors, but most importantly to learn from them. Here are some tips I gathered from my zero waste challenge. 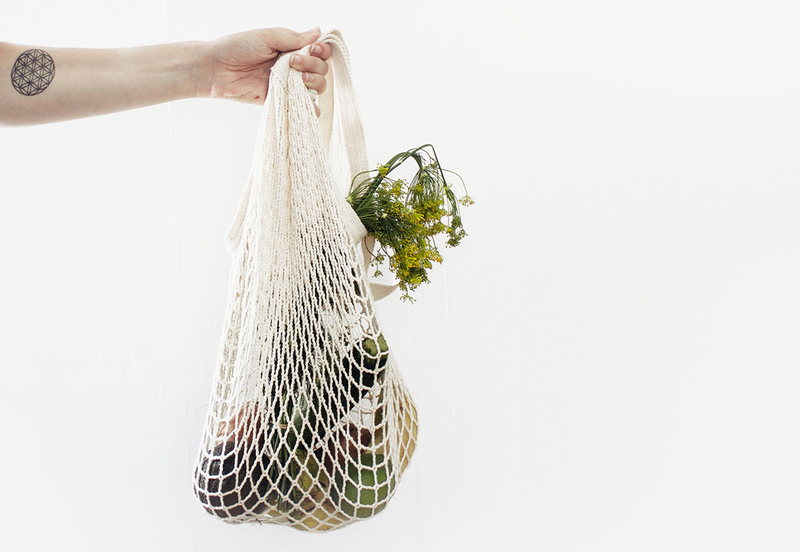 Are you into zero waste living too? I would love to hear your tips and tricks! Don’t go out and try changing all of your life habits at once. That’s just a recipe for disaster. I did a lot of research at the beginning of the month and one thought led to another, which led to another, and to another, and before I knew it I was on the phone with the the city of Berlin’s recycling facilities to try and figure out what precisely happened with cardboard past our homes’ recycling bins and to see if I could visit the composting facility. I started wondering what could be worse between unpackaged food coming from afar and local food sold with packaging, literally comparing and freaking out over apples and oranges. I started obsessing, because I’m pretty good at that. And the no waste thing became more and more complicated. So I took a few steps back. I elected to start with smaller and easier actions that I felt had the biggest impact. I made my own oat milk. I bought in bulk and from the zero waste shop. Packed a lunch every day. Always carried a bamboo straw and all sorts of cotton bags. Eliminated plastic as a first line of action. Made some of my own toiletries and simplified everything else (I went no poo over a year ago). Now comes the tricky one. 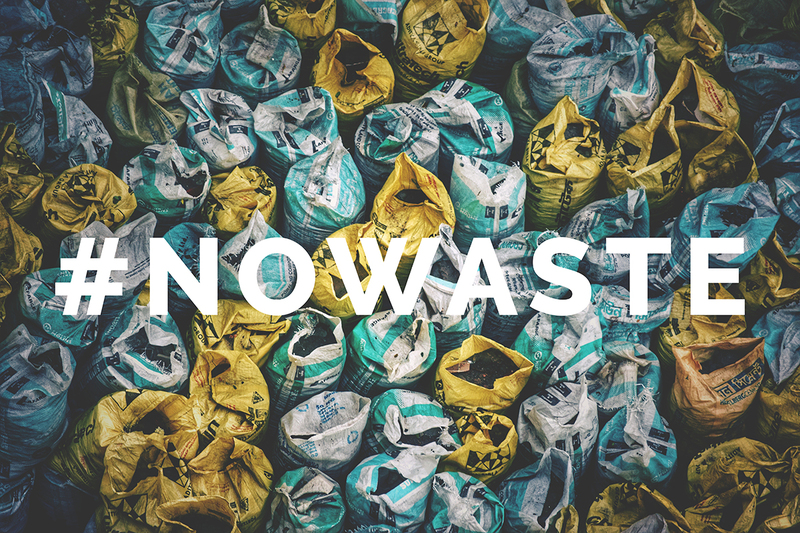 Traveling and a zero waste challenge seem to not fit so well in the same sentence and several people have already told me that being a professional traveler and attempting a zero waste lifestyle was an oxymoron. I get it. The first big issue is obviously flying. If you’re traveling within Europe, it’s easy to pick low cost carrier flights over other means of transportation as they are often the cheapest option. But here’s an incentive to go green: it’s not always the fastest! GoEuro recently published an article showing that 10 European routes are actually faster by train than flying. Trains are a great relaxing commute and always my favorite. I’m also a big fan of bicycle touring, but I understand that you’d have to be on a very long holiday and/or in great shape. Still, consider it as an active out-of-the-box holiday idea of a lifetime and one that aligns most with zero waste living. 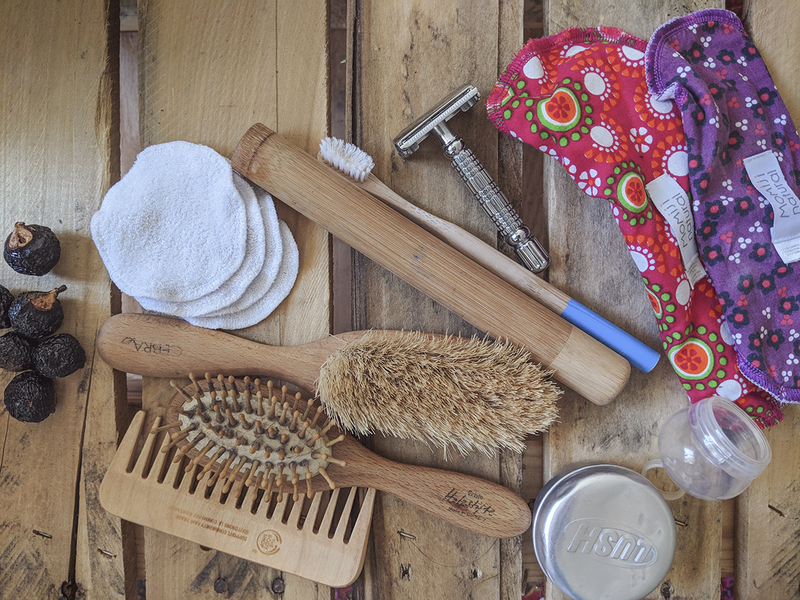 Carry the zero waste tools I mentioned above with you on your trip too! This is often the time and place where you’ll generate the most waste. This things are light and easy to pack. No excuse! Take advantage of most transport companies now having apps and issuing digital tickets. There is absolutely no excuse to print tickets anymore! Solid cosmetics rule! Killing two birds with one stone here: on the one hand, avoiding garbage because you do not have to dispose of tiny plastic bottles, and on the other, you have no problems with fluid restriction when flying. Just take a piece of solid soap instead of shower gel and shampoo. Take an e-reader instead of books. I love my Kindle! Pack minimally. The less space you have, the less you are likely to buy. And the less you buy, the less you have to throw away. If you’re traveling with a small carry-on bag or backpack, you’ll think twice about which clothes you really need and whether you really need to buy that souvenir. And your holiday will be cheaper. Win! Some of these links may be affiliate links, meaning I get a small commission if you click through and use the service at the other end. This will never cost you any extra and helps me run this blog for your viewing and pleasure! This entry was posted in Healthy Living, Inspiration, Travel, zero waste on August 1, 2018 by Amélie. They are so much cheaper and organic bamboo so super soft!! I’m terrible at packing minimally haha! I have a friend that did this in May and decided to carry it on for the rest of the year. It really is inspiring, and through her (and now you), I’ve discovered several ways to help with the cause. It’s really astonishing how much waste we produce in a single day. Yay, I’m glad it was insightful!! Our daughter is a big environmentalist. So we have slowly been changing our ways. It is amazing how awareness helps you to change. We have several different re-usable water bottles and just recently bought our own stainless steel straws. I got an e-reader several years ago and between that and my iPad, I only keep electronic docs. Lots of good suggestions for reducing our waste footprint. Wish more countries even did starter things like recycling! As Canadians, we will carry our recyclables with us until we find the right spot to get rid of them. haha I do that too, I didn’t realize it was a Canadian thing to do lol!!! Yes, I was so excited to read that on the Go Euro website, I also love train travel! Bamboo toothbrush is a new one! I should go hunting for something like that. When one sits down and thinks about the amount of plastic we use in our daily lives, its really mind-blogging! It is crazy, isn’t it! Very good idea for clean your house, city and county. good work. These are such great tips. I always carry a bottle to refill when I travel as well as my own lightweight shopping bags, I never thought about using bars of soap, but that’s an obvious one I am going to implement straight away. If everyone makes small changes, it will make a big difference! 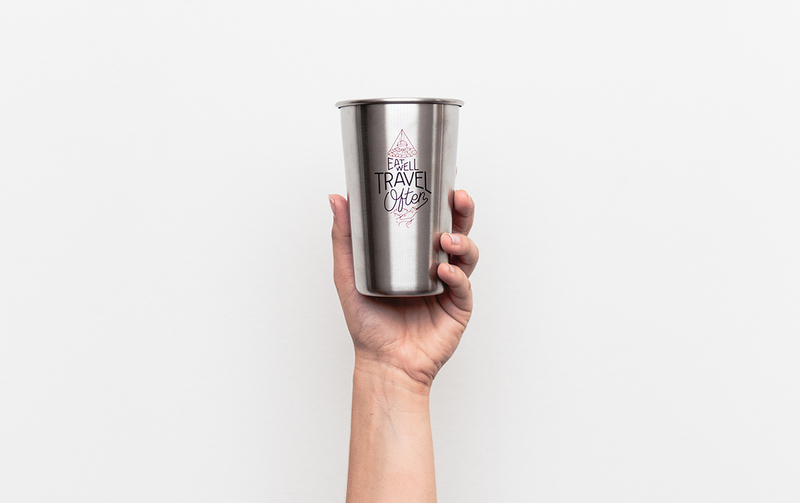 Before we left for a recent trip, we invested in large metallic reusable drink bottles, and filled them wherever we visited. It was a small change, but made all the difference. And restaurants are happy to fill them for you. I also carried a reusable shopping bag, to cut down on those awful disposable plastic bags! Great tips here. This is a great list! I have trouble finding silicone ziplocks and bamboo straws from where I live but that would really help make this lifestyle change easier! 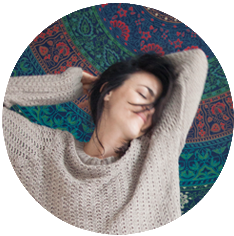 Also, I agree that we shouldnt change our habits all at once. I just dont think it is possible to make a 360 degree turn for this. Great post! Agreed! I got the silicon bags and straws from Amazon, they should be easy to find online from anywhere.